If you thought AI apps are the future, then the future is already here. 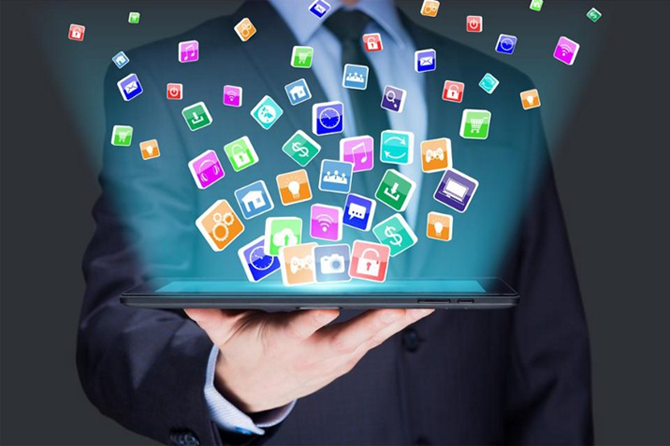 Almost every business out there is making intelligent apps. This is because of the myriad of merits associated with intelligent apps. As artificial intelligence began to creep in we were earlier pretty skeptical and this is why it took so much time for this technology to catch up. But times have changed. There are so many apps in the marketplace. What value does your app add to make the customer experience better? That now, is the billion dollar question. A quick search for “chat bot” in the marketplace would display hundreds of bot applications for smartphones. This is of course besides the AI assistants launched by the major players themselves, like Siri, Google Now (and Google Assistant), Alexa and Bixby among the others. Chat bots are definitely cool and there’s no denying that. They offer convenient hands-free operation and a simple voice command based interface. Getting back to our topic, now, are chat bots are the coolest apps that can be made? Definitely not! Intelligence in the app ecosystem is so much beyond just voice based interfaces. Intelligence of an app rests not just on the way it takes inputs from the user but also the way it responds and the many things the app can do in the long run. If you are building an app for your business, make sure that it is intelligent. This would make your business, and the app in particular, future-ready. What’s so “intelligent” about intelligent apps? There are apps and then there are intelligent apps. How do you really tell them apart? Enter machine learning! Machines were earlier built simply to mimic human activities. But now machine learning is in. Again, another old concept which is now gaining momentum. Intelligent apps are, well, intelligent- they learn and they evolve by incorporating machine learning capabilities. They grow and improvise continuously. This is what sets them apart. This is what makes them so popular and not just among businesses. Customer segment is pretty volatile. Customers themselves are pretty volatile. An agile solution which can flexibly adapt itself to meet the changing needs of the customer is what actually counts. How can you make your app tackle both the above issues? This is question that resulted in people switching to incorporating intelligence in apps. So we get a tool that can replicate human interaction, one that can learn, correct and modify its behavior on its own as and when needed. This tool also allows automation of processes. This tool is what we call an intelligent app. If the concept has been there all along, why is it materializing only now? For AI or artificial intelligence itself to grow, there were a lot of technological and hardware limitations prevalent in the past. Artificial neural networks (ANN) were not really understood well and their full potential was not tapped. But there is no denying that to build a large intelligent system or a large ANN, you need a large dataset which is again difficult to put together. We now have Big Data managing and analyzing capacities. The computational power of the machines and the hardware technologies have seen a massive growth. After all one cannot create a truly “intelligent” app or tool without a superior quality, extensively compiled dataset for training the intelligent network. What intelligent apps can and should do? They are smart in taking inputs. They learn not simply by what you type or what you speak but even silently as you use the various features of the app. The more you use the app the more they understand your behavior and the better and more relevant would their responses be. For example a smart shopping assistant app would be able to track what you view and come up with suggestions of similar styles or even put together a mix up recommendation to complement your purchase and thus help in cross-selling. It would know to tailor promotions relevant to the user. The best part here is that when your app is intelligent, though the same app might be used on different devices by different people, it would respond differently to different users. The personalized approach, the more human-like interaction received is what makes intelligent apps better. What intelligent apps shouldn’t do? So we have spoken about the paradigm shift and the new-sprung love of businesses for the intelligent apps. Is this totally justified? – Yes, as long as the app doesn’t overdo what it was meant to do. Now how can that happen? Remember, your app is intelligent which gives it the capacity to evolve. What if it grows in a way that deviates from its purpose? Every app is built for a purpose and distracting too much beyond it would only do more harm than good. For example, even with chat bots, we call them so because they chat- they can answer customer questions and can also put forward relevant information. But would you like a chat bot that starts understanding the customer needs and starts putting forth too many questions to the customer even before the customer asks for something? Though that doesn’t usually happen, the key is to incorporate limits and checks in your code. No matter how cool and how smart your app is, you cannot simply launch it and let it evolve on its own. A little amount of human intervention every now and then would ensure that nothing goes out of track.